This poor chap found himself in hot water on a trip to Island Beach State Park in New Jersey. 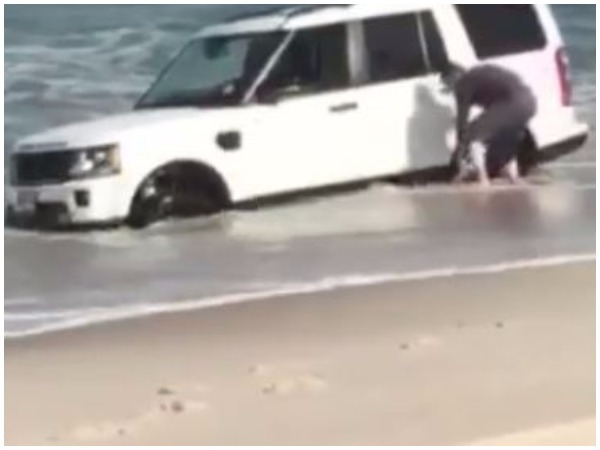 The unnamed man drove his Land Rover onto the beach, where he climbed out of his car to take a picture of his vehicle in the sea. However, the 4x4 started to sink into the sand when wave after wave kept hitting the car. In a video posted on Facebook, he can be seen taking out a spade and attempting to dig his vehicle out of the sand - in vain. According to NBC New York, a tow company eventually freed the car from the sandy mess. Watch the clip below. Honestly, can you help but laugh?